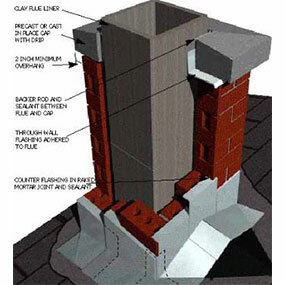 The chimney’s mortar crown is a concrete section that sits on top of the chimney who’s function is to shed water away from the other components of the chimney. 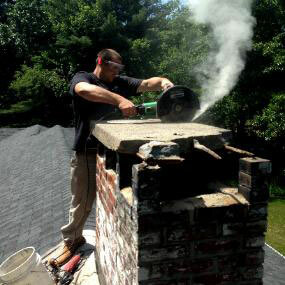 The chimney mortar crown is another crucial component of your chimney that, if not in optimal shape, can let water into the chimney which can then cause water damage to the chimney and the home. The damaged mortar crown is carefully chipped away and disposed of. The chimney flue pipes are checked for damage. The area around where the new mortar crown will be installed is cleaned and prepped. 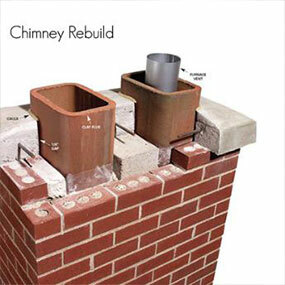 A new mortar crown can be cast-in-place, or a pre-cast concrete or composite crown can be purchased and installed on your chimney to complete the chimney crown repair.